These beautiful copper Solar Dual-LED Lighted 6" x 6" post caps add a charming touch to your bridge, porch, fence, or any outdoor area. 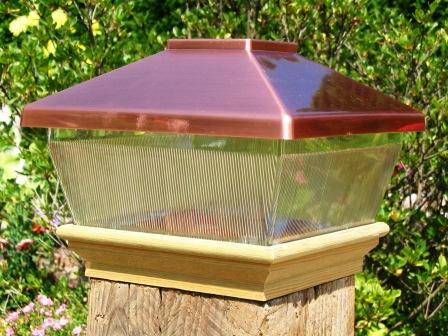 Copper Top Solar LED Light Post Caps - 6" x 6"
Will fit on any 6" x 6" post only. 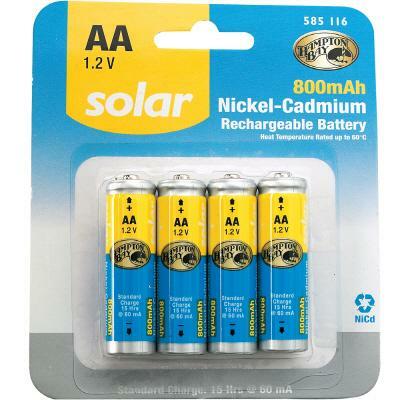 The outside dimensions of a normal 6” x 6” measure 5 5/8” x 5 5/8"
11/7/2010 – Re: Copper Top Solar LED Light Post Caps - 6" x 6"
How many lights are in a package?